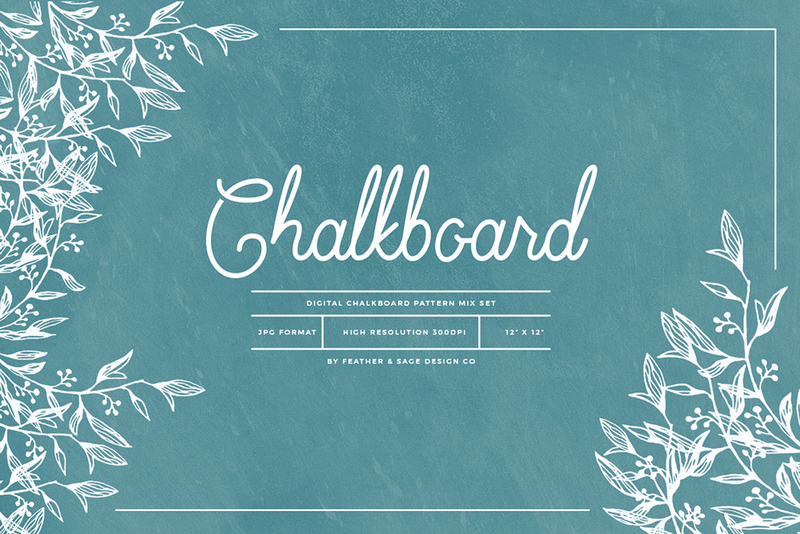 Chalk Effect Mix Patterns	By: Feather & Sage Design Co. This Chalkboard Mix Pattern Set was inspired by so many colorful chalk effect paints available today. Digital chalkboard patterns in a mix of fun vintage colors. Great for logos, hand lettering, or design presentations. File size is approx 78.2MB (81.4MB unzipped), offered as a single download.